A prize winning historian, novelist and film producer, Professor Bruce Scates FASSA is the author/co author of twelve books and numerous articles. His main expertise is on Anzac and the contested memory of war but he also works in the fields of labour and environmental history, the contested politics of memorials and Indigenous histories. Committed to communicating history to the widest possible audience, he has featured in television documentaries and written numerous opinion pieces for the daily press. 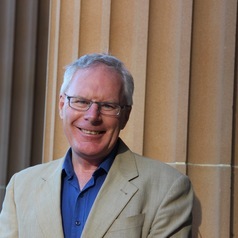 He is the writer and producer of 'Australian Journey', is the recipient/co recipient of university, state and national awards for teaching and works in the field of digital history.